This was followed by smug little tut-tuts and a playfully self-satisfied grin. Had he not been helping with dinner, I would have booted him out of the kitchen. 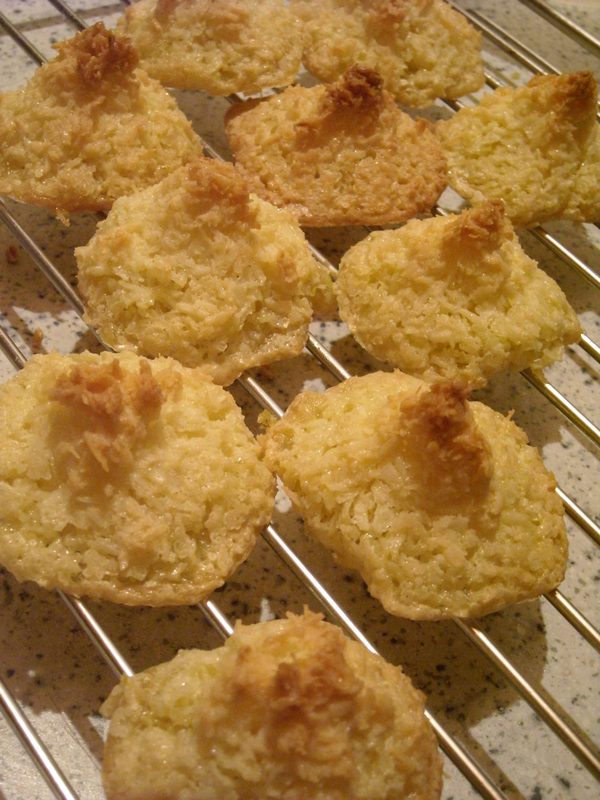 This foreseen little boast-fest took place over a tray of slightly flattened coconut macaroons. Only slightly flattened. 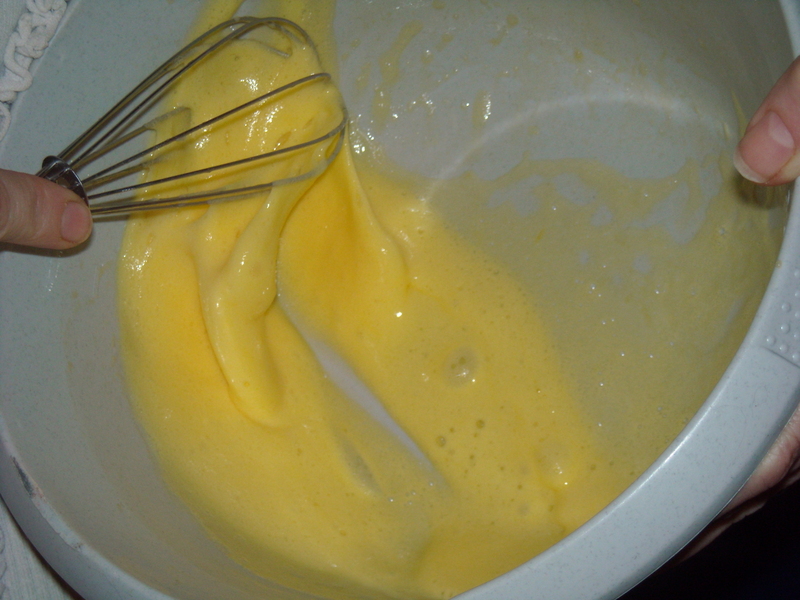 During the baking process, some of the egg and sugar liquid seemed to have migrated southwards. The overall effect was of a sea of plump little coconut ballerinas with tutus way too big and fluffy for their diminutive frames. But cute all the same. 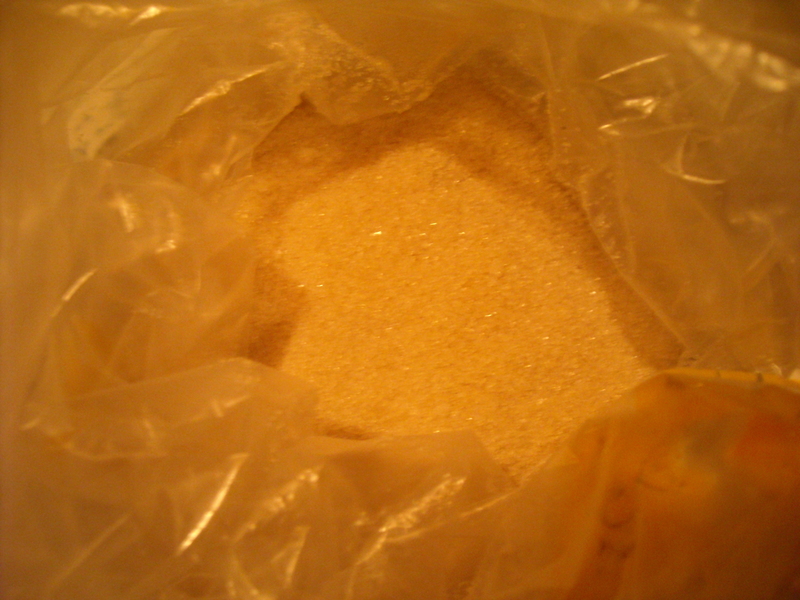 First of all I tried putting the sugar in a bag, figuring that I could roll it cleanly without making a mess. 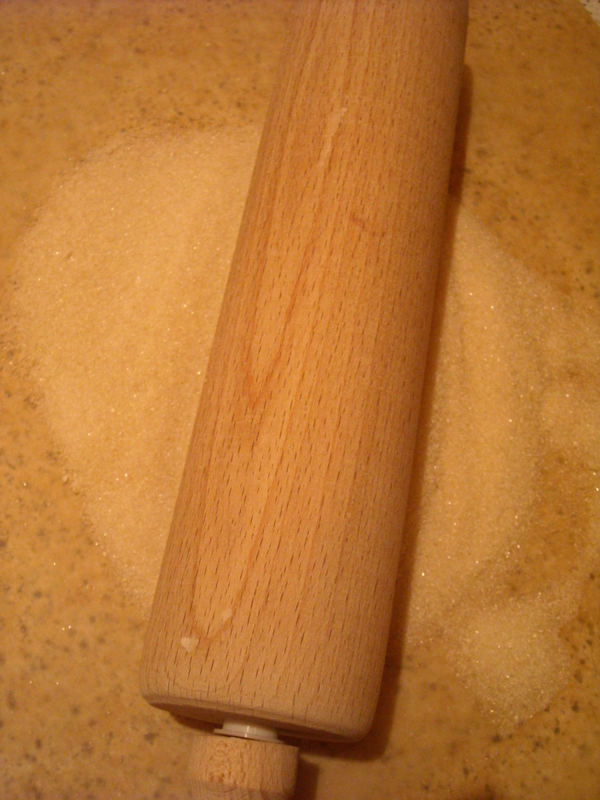 Unfortunately, a hole soon formed, so I tipped the sugar onto a baking sheet and rolled it on that instead. Despite the smug tutting in the background, it did actually work – to an extent. In the meantime, I had my boyfriend take turns with me to whip up the egg (we divided all ingredients by 3 and made just a third of the stated quantity), then add the sugar and lastly coconut. Well. In 15 minutes, I had myself some delightful, sturdy little pyramids. Somewhat squishily plump and unevenly brown, I grant you, but passable enough all the same. As he shoved one into his mouth, he managed to utter a faint “Well…” which I hastily interpreted to be a humble, partial admission of error. Not that I could get him to admit it, of course. On reflection, I think my interpretation was correct. But I’m going to do some research before I go making any claims out loud – otherwise, he’ll undoubtedly hold it over me for future teasing if I’m wrong. 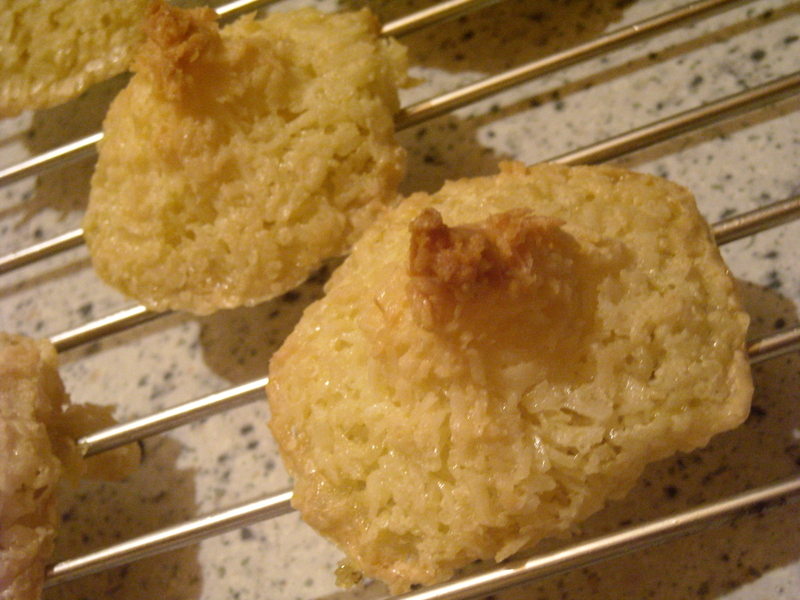 Either way, these coconut (or cocoa-nut) biscuits are pretty damn good. Half of them have miraculously disappeared down my boyfriend’s throat, so I can safely assume that none of this has affected his sweet tooth in any way. 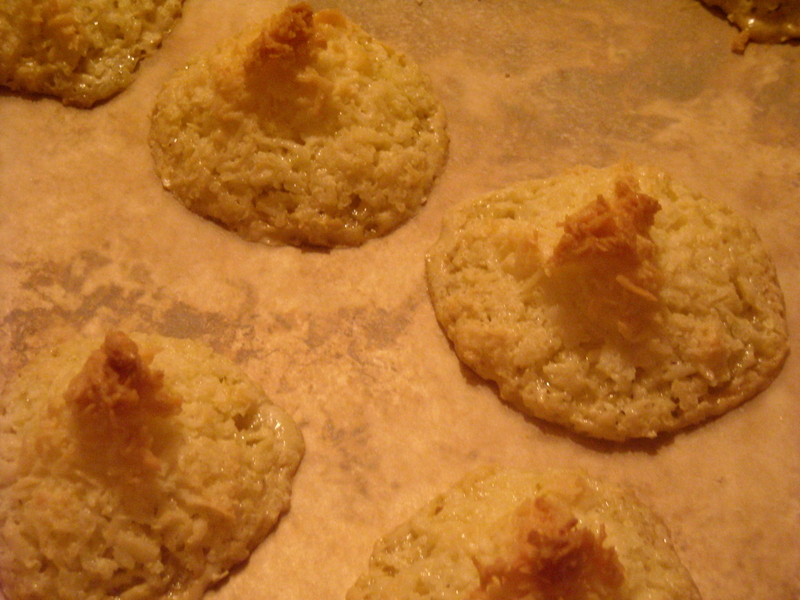 This entry was posted on March 5, 2010 at 10:31 pm and is filed under food. You can follow any responses to this entry through the RSS 2.0 feed. You can leave a response, or trackback from your own site.